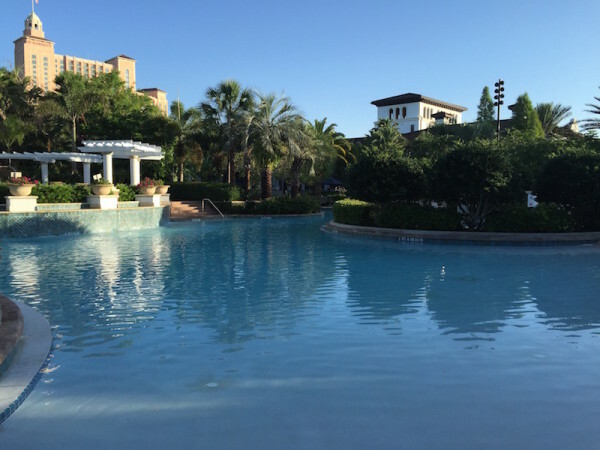 When I recently was invited to stay at the Marriott Vacation Club Lakeshore Reserve property in Orlando, Florida, I didn’t really know what to expect. I have visited quite a few of the Marriott properties in the past as some family members are members but I didn’t understand how or why a non-member would stay at a Marriott Vacation Club property. Turns out there’s a lot of reasons why properties like the Marriott Vacation Club Lakeshore Reserve are a good fit for your family even if you aren’t Vacation Club members. First things first. What is a vacation club? Well, it’s essentially a timeshare. Wait. Don’t leave yet. Timeshare has become a bad word in many travellers vocabularies and it isn’t without reason. Some properties and some seedy sales people across the world have made it hard to trust in the opportunity to “own” vacation property. Trust me, I’ve sat through some pretty bad sales breakfasts for discounted Disney tickets in the past. So now you are wondering how the Marriott Vacation Club is different? From what I’ve seen first hand from my extended family members who own, the Marriott Vacation Club is a leader in the industry. For us, its meant that we have been able to meet in places across the world and get adjoining rooms in some pretty great locations. Each property we’ve stayed in has had a large kitchen and sitting room which meant family time was a lot cheaper and easier to manage. We’ve enjoyed barbecues and family dinners while also having access to great pools and new places to visit. Surprisingly you can also use Marriott Vacation Club points with a number of tour operators meaning that you aren’t technically tied to Marriott properties anymore. Some members choose instead to head out on Caribbean cruises, take guided city tours with custom itineraries as well as invest their points in unique vacations like chartering a sailboat through the Greek Isles or Thailand. 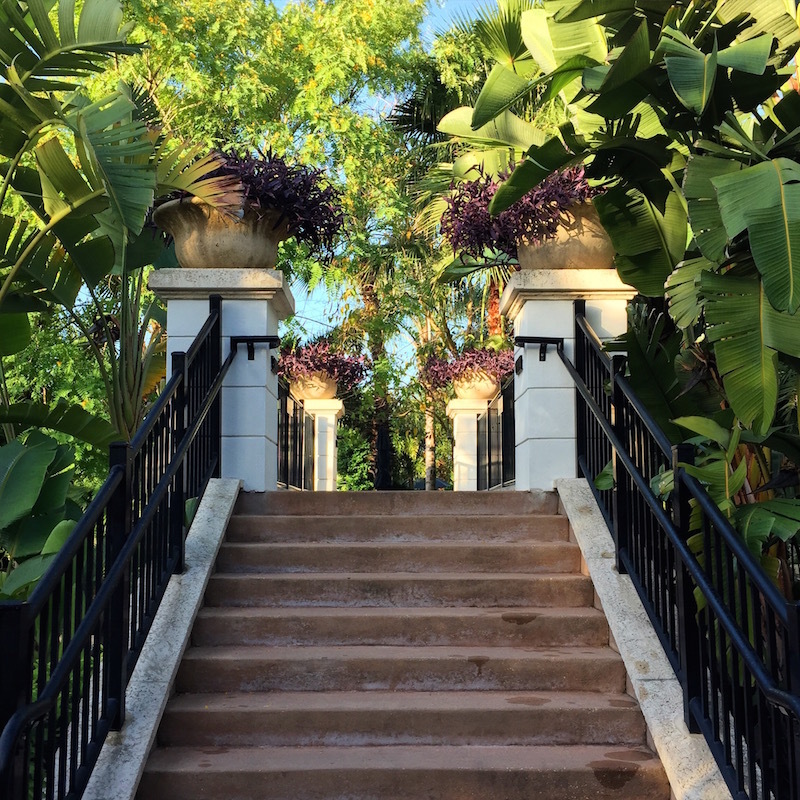 What surprised me the most about my recent stay at Marriott Vacation Club Lakeshore Reserve was that you could book a room at the property without being a member. More surprising was that my 830 square foot room with kitchen and large balcony only cost around $229.00 a night. 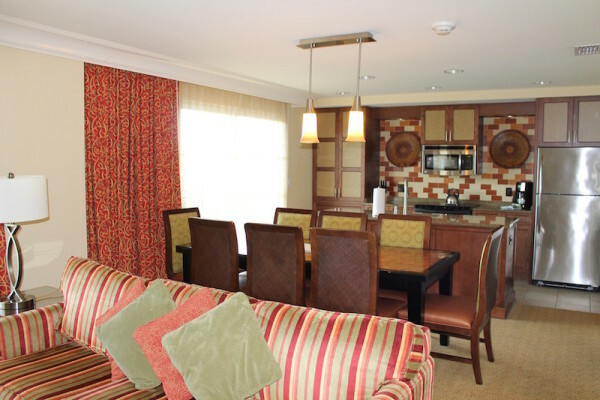 The room easily would sleep my family of four and allow us to have a vacation without worrying about the cost of eating out each night. To book a property like the Marriott Vacation Club Lakeshore Reserve as a non-member of the Marriott Vacation Club, you simply visit the Marriott Vacation Club website and click Find and Reserve. After selecting your destination city, you will be shown all the Marriott Vacation Club properties and rates per stay available to non-members. 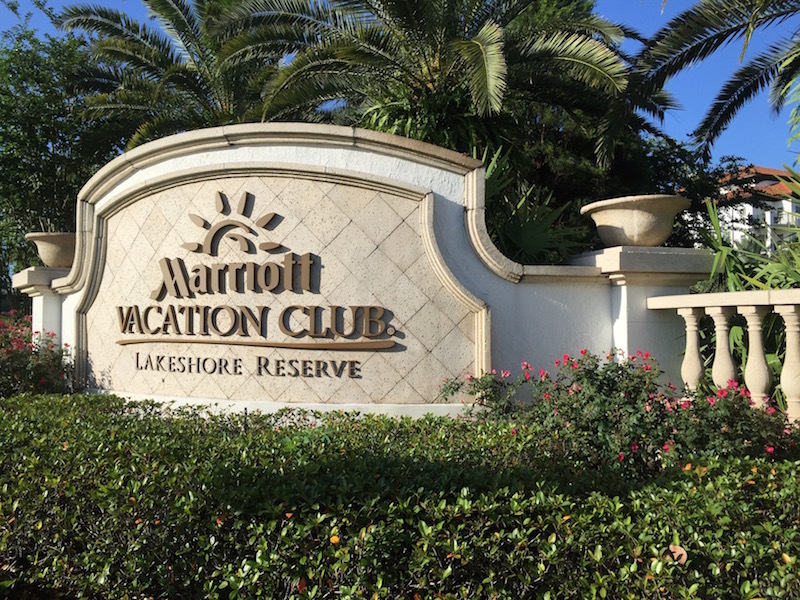 The Marriott Vacation Club Lakeshore Reserve is set on the gorgeous Grande Lakes campus that not only includes the Marriott Vacation Club property but a JW Marriott and Ritz Carlton. What I particularly enjoyed about this setup was the benefit of staying near these luxury hotels without having to pay the nightly rate. 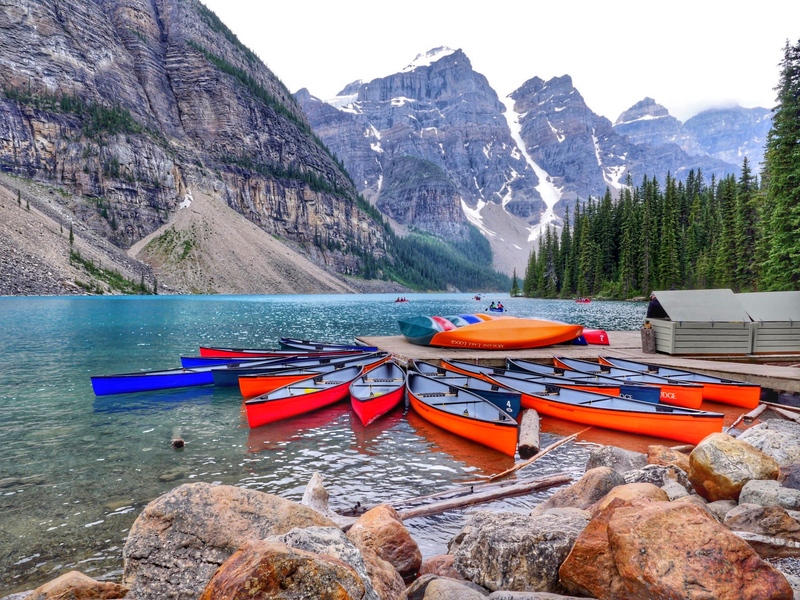 It was under a 2 minute walk to 2 fantastic restaurants, an incredible spa, shopping, golf and recreational programs that included kayaking and fishing. An even better feature was that I could charge back meals and services to my room at the Marriott Vacation Club Lakeshore Reserve and didn’t need to carry a wallet the whole time. The Marriott Vacation Club Lakeshore Reserve property has a lot going for it including a fun lazy river pool with two waterslides. The property also is well cared for with beautiful gardens filled with flowers and butterflies. One of the more remarkable things about the property is the vibe. I watched as families gathered by the pool, couples played shuffle board and kids ran through the covered playground and noted that these people were all actually on vacation. No one was working. This is a nice switch from staying at a mixed-use hotel where sometimes the rush of business travellers can put a damper on a relaxing family vacation. One of the best memories of my stay was an incredible eco-tour on Shingle Creek. 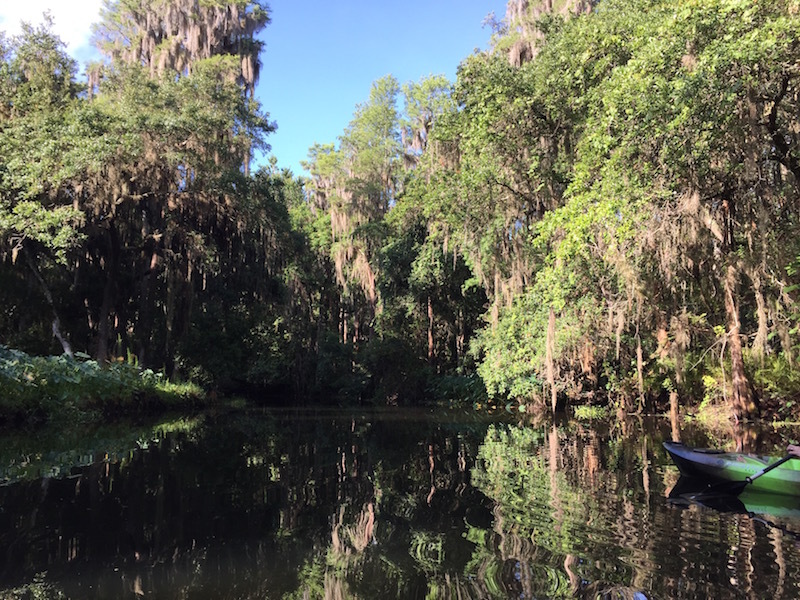 The creek which is the headwaters to the Florida Everglades, is full of amazing things to see and a great place to find peace amongst nature. The silence on the water was incredible and it was easy to paddle and explore the creek. At one point, as I stopped underneath an owl pruning its feathers, I looked around and couldn’t believe you could experience this with Marriott Vacation Club. The cost of the tour was $60 per adult and $30 for anyone under 17. I can truly attest that for this amazing two-hour tour the cost is more than worth it. Whether or not you are interested in joining a vacation club, its definitely worth it to bookmark the Vacation Club website for upcoming family vacations. It’s also a nice way to view the properties and have a trial run before investing in the Club long term. One of the things that strikes me most about raising children is that many families simply don’t schedule vacations anymore. Recent surveys show that only 25% of employees in America with paid time off actually took all their days off. I know as a family, even when we do take vacations, we certainly don’t leave our work or laptops at home. That’s where timeshares and vacation clubs like the Marriott Vacation Club come in ensuring that you do take those days off because you’ve invested in your family vacation ahead of time. You only have so many days to enjoy your kids and from my experience we’ve never come home regretting time spend away as a family away. Neither will you. 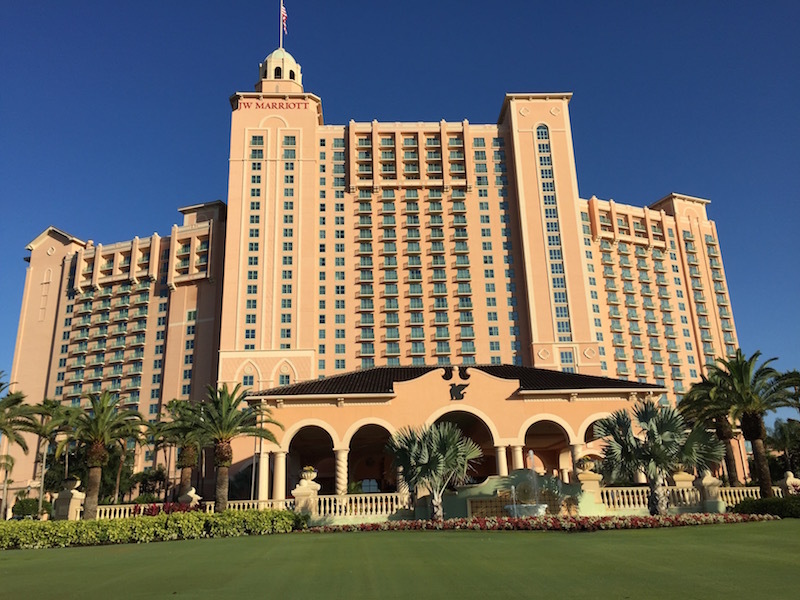 We haven’t been to the Lakeshore Reserve, but we’ve stayed at … let’s see… five different Marriott Vacation Club properties in the past in the U.S. and Europe, and loved each and one of them. You just can’t beat the space, the amenities (the pools), and usually there’s also a Kids Club, where the younger kids can play for a bit and the parents can relax. I am headed there in August. We just stayed at the Marriott Sabal Palm which was also very nice. The pool at that Timeshare was much smaller, but a short walk or shuttle away was the hotel pool which was simply fabulous. Looking forward to the Lakeshore Reserve. We are not members but we do own a Timeshare through Hyatt. We trade our Timeshare for others through Interval and have stayed at several of the Marriott properties and have never been disappointed. It makes me regret that we didn’t buy through Marriott in the first place.